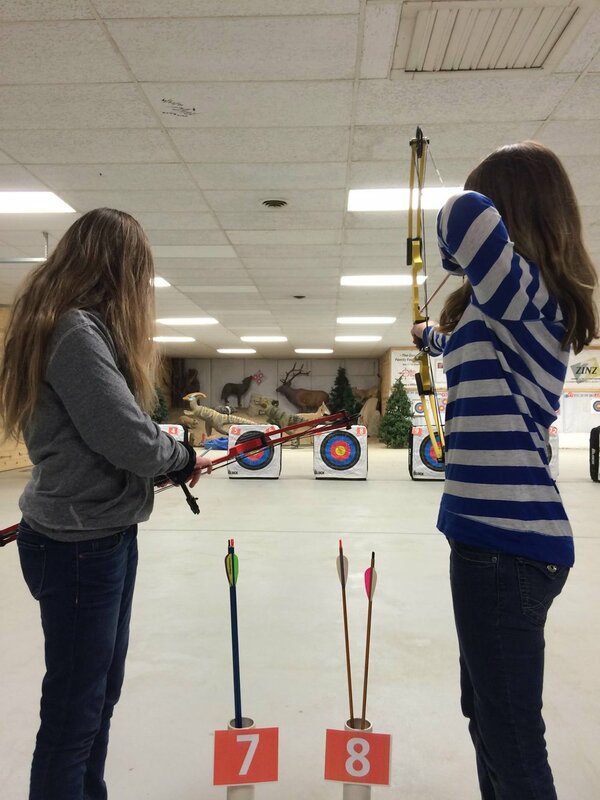 Archery lessons are available for youth 2nd grade and older. These lessons are an hour in length, and can be scheduled around your schedule (most people choose to do one lesson a week). These private lessons are designed to build and polish the archery skills of both beginner and advanced archers. The cost is $25.00 for a one-on-one lesson with an instructor. Bring a friend for $5.00 more per lesson! Group lessons (church youth groups, scouts, etc...) are also available for parties of 8 or more. Activities that we can offer are archery, riflery, fishing and tomahawks. Group lessons are typically 1.5 - 2 hours. One of our instructors is certified as a Merit Badge Instructor for archery, riflery and fishing (contact us if interested). The cost for group lessons is $10.00/person (minimum of 8 people).